We are proud to announce that Renaissance at Redhawk Homeowners Association has selected Tinnelly Law Group as their association’s legal counsel. 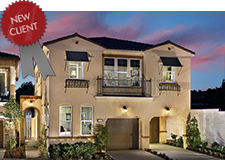 Renaissance at Redhawk is a brand new master-planned community by Beazer Homes featuring new detached homes located in Temecula. Residents live conveniently near Redhawk Golf Course, Old Town, San Diego and Orange counties. Our HOA attorneys and staff look forward to working with Renaissance at Redhawk’s Board and management.